Billboards don't usually ask a lot of you, beyond a cursory glance. 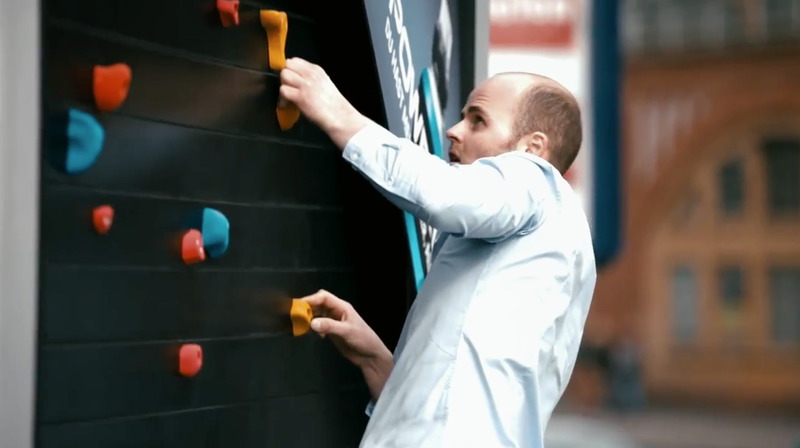 But these Powerade boards from Ogilvy & Mather Berlin put you right to work. They're more like exercise installations than billboards. One display features a scrolling climbing wall; another invites you to punch it as hard as you can. And all of them will make you work up a thirst that Powerade can then quench. Your move, Ikea. Via Ads of the World.